Rays Engineering, the maker of Volk Racing Wheels, has released a new line of performance lug nuts. 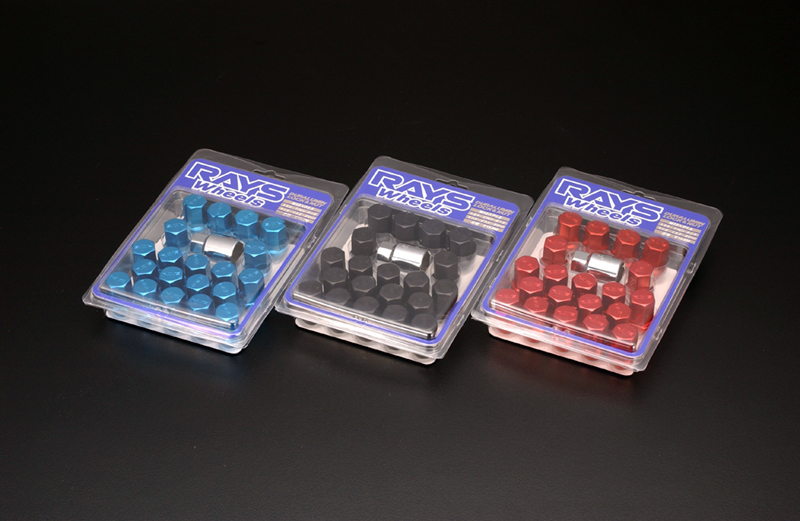 Made from Duraluminum, these Rays lug nut are extremely strong and light (the Rays lug nuts are 0.8 oz. each compared to 2.1 oz. for the stock pieces). In addition to the performance aspects, the Rays lug nuts also feature one 7-sided nut per wheel. These heptagonal nuts look stock from a distance, but can only be removed with the specially designed socket that comes with the set. There are several different key patterns of lug nuts to ensure the security of your precious wheels. 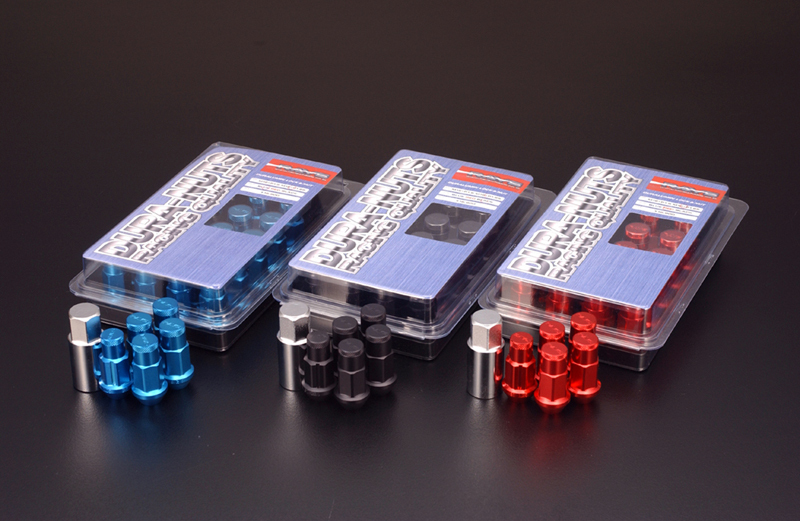 The Rays lug nuts are available in anodized red, blue, black, or gunmetal. It;s a great way to protect your wheels! Lug nut sets are sold in packs of 20 pieces only.